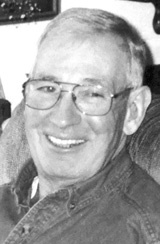 PEKIN, Ill. — Thomas D. Halstead, 85, of Pekin passed away at 10:30 a.m. Saturday, March 16, 2019 at the Villas of Holly Brook and Reflections. Tom was born July 23, 1933 in Hookstown, Pa., a son to the late Vernard and Lottie (Allison) Halstead. He married Jackolyn Haynes on Nov. 15, 1956 in Newell, W.Va. In addition to his parents, he was preceded in death by one great-grandson, Thomas, six sisters, Grace, Alice, Isabel, Marylou, Eunice and Shirley, five brothers, John, Joseph, Charles, Clarence and Venard. Surviving are: his wife, Jackolyn of Pekin; four sons, Keith (Rebecca) Halstead of Swansea, Ill.; Martin (Melanie Monge) Halstead of Bend, Ore.;, Doug (Dianna) Halstead of Pekin; Curt (Lisa) Halstead of Green Valley, Ill.; nine grandchildren, Jessica, Jackolyn, Nathan, Adam, Katlin, Martin, Allie, Courtney and Shelby; four great-grandchildren, Mia, Jackson, Mae and Smith; one sister, Thelma Grey of Columbiana, Ohio. Tom was a Korean War veteran of the Unites States Air Force. He was a truck driver for Davin Excavating for 35 years retiring in 1993. He was a member of Teamster Local 627, Masonic Lodge 476 AF & AM in Manito and Pekin Moose Lodge 916. He loved wood carving especially duck decoys. Cremation will be accorded with a celebration of life at a later date. Henderson Funeral Home & Crematory is in charge of the arrangements.